The Independent National Electoral Commission has declared the Ilaje/Ese Odo Federal Constituency bye-election inconclusive. The Returning Officer for the election, Mr Babatunde Adeyemi, announced this on Sunday at Igbokoda, Ese-Odo Local Government Area. The results, as compiled by INEC, showed that Mr Kolade Akinjo of the Labour Party polled 23, 926 votes. Mr Adewale Kukute of the Peoples Democratic Party came second with 22,628 votes out of the over 56, 455 total valid votes cast. The returning officer said that the decision to declare the poll inconclusive was because of the difference of about 1, 300 votes between the winner and the runner-up was far lower than the number of cancelled votes. He said that over 7,000 voters could not participate in the election. “This has violated the electoral law and hence the need for INEC to conduct supplementary elections in areas where elections could not hold. 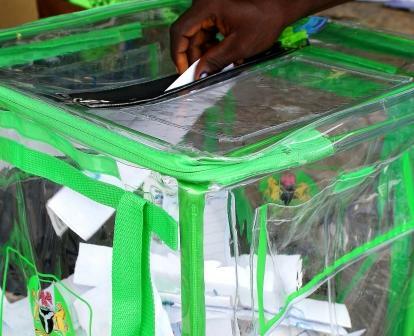 “I cannot return the Labour Party candidate despite polling the highest number of votes as the electoral law empowers INEC to declare such elections inconclusive”, Adeyemi said.